Size is about 10,5 x 7, 5 cm (4 x 3 inches). 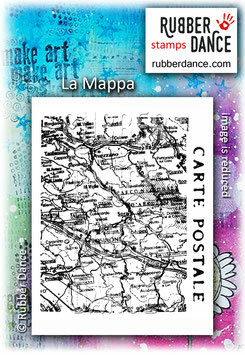 La Mappa (The Map) is an actual map of part of Italy. 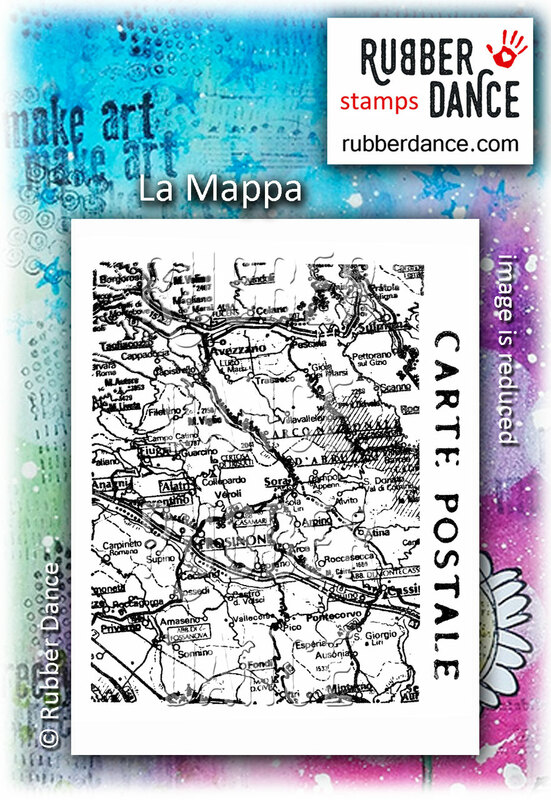 Included is the free carte postale (post card) text stamp you see on the photo. Cut them apart if you prefer to use them separately.